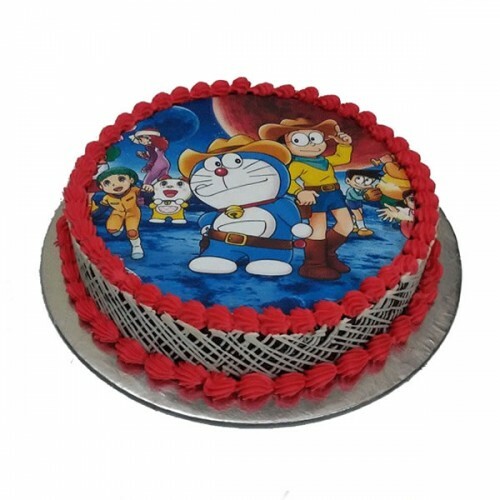 This Doraemon photo cake at GiftJaipur can surely bring a smile on your kid’s face if he or she is a true fan of this attractive cartoon character. You can get the entire scene of this cartoon and his friends on the cake for more visually appealing effects. This deal is just a click work and your little one will definitely amazed after seeing this eye-pleasing cake. This cake is surely going to add liveliness and sweetness to the birthday celebration. •	Enjoy the feel of making your toddlers feel special on his/her special day.